Visionary faith initiatives offer a new opportunity for donors to invest in theological education. Beyond understanding the altered landscape of religious giving, this session will suggest that participants explore a culture of sufficiency and leadership investments that grow nontraditional donor audiences for long-term sustainability. They will be encouraged to Act, Think and Interact to encourage change in the development environment. 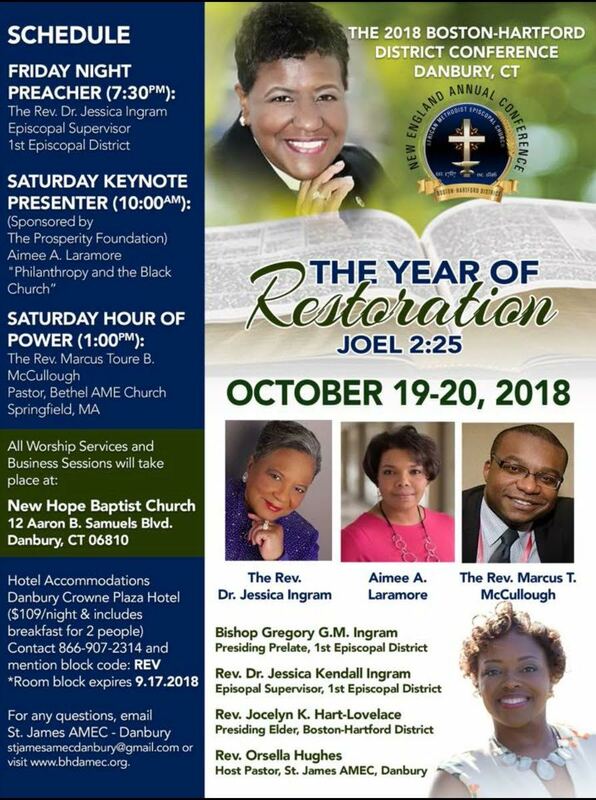 The Boston-Hartford District is part of the New England Annual Conference of the First Episcopal District of the African Methodist Episcopal Church. The churches within the Boston-Hartford District are located in Connecticut, Massachusetts & Rhode Island. Explore their paths to faithful generosity with insights from experts in keynote sessions and workshops. Hear signs of hope through inspiring worship and stories in Bright Spot presentations. Leave ready and able to create new paths of generosity in your church or organization. Students and faculty are critical constituencies for theological education, but engaging students, alumni/ae, and faculty in the world of development can be a taboo topic at best. Each of these audiences, especially alumni/ae, has an incredible role to play in the sustainability of beloved institutions, including embracing the role of brand ambassador. Our best and brightest graduates and faculty—regardless of profession, ministry, and calling—have tremendous importance beyond their charitable giving. Together, alumni/ae relations and seminary advancement have the potential to revolutionize how we understand relationship development and work in partnership to attract, cultivate, and retain those with shared values and critical resources for success. Join Aimée and Angela for an innovative conversation about best practices for navigating critical constituencies. Raising resources is a necessity, but building relationships is the root of the development practices that make sustainability possible. Leverage and apply best relationship practices and incorporate metrics with nontraditional audiences to move from conversation to cultivation. 2018 will mark the 15th anniversary of the Samuel DeWitt Proctor Conference Inc. For 15 years, SDPC has engaged in advocacy and activism, and promoted justice by resourcing and organizing partner churches, clergy and lay leaders to address the diverse concerns of communities. The 2018 SPDC conference will offer specialized sessions, plenaries, institutes, workshops and community activities designed to equip attendees and local residents to respond to the many issues we face in our communities throughout this nation and in the diaspora. Spiritual Leadership for Stewardship and Fundraising: Enough Already! In this seminar we will begin by exploring our own spiritual and cultural relationship with money. Grounded in our own work toward health, we will examine the role of religious community in building a healthy and prophetic vision for our collective relationship with money. We will share the latest research about giving and offer an overview of the adaptive changes needed for successfully resourcing mission, including practical wisdom and tools. 36750 Us Highway 19 N.